Choosing the right kitchen doors for the specific look you want to achieve in your kitchen can be daunting. 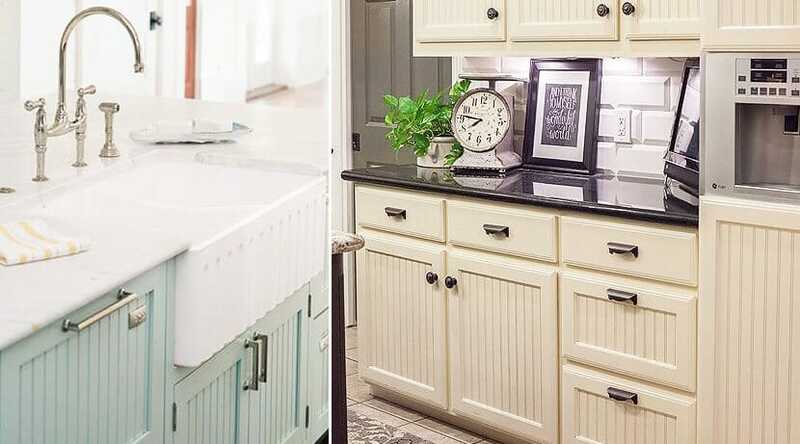 We have demystified door styles for you by showing you 7 examples of the most popular styles available to create the kitchen of your dreams. 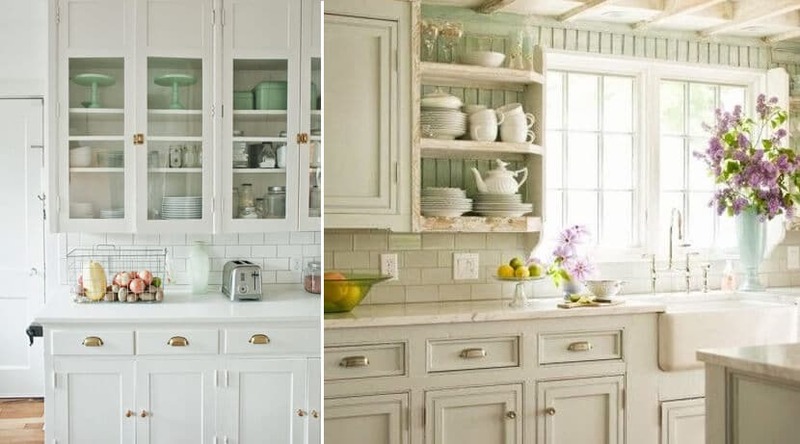 Create a vintage kitchen style by using cottage cabinets. 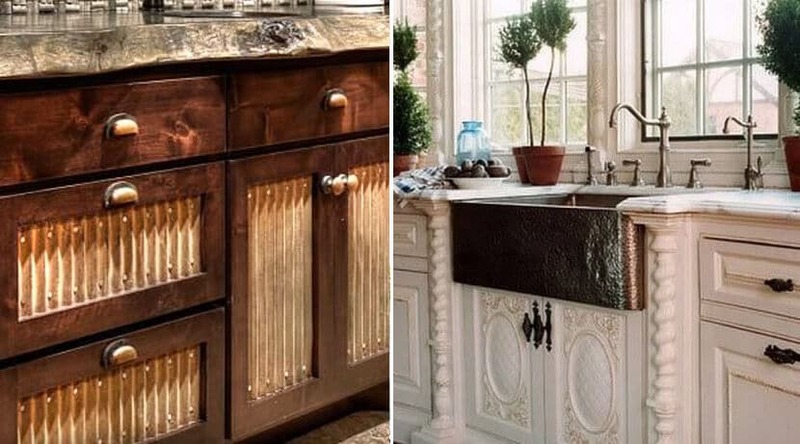 To create the very popular eclectic look you should pair it with modern appliances and hardware or keep it traditional with matching accessories and hardware. Update the look instantly by opting for sleek stainless steel handles or choose crystal door hardware for a more luxurious look. Contemporary flat-panel cabinet doors will fit a sleek and stylish interior. These doors are mostly used in modern kitchens as they blend seamlessly with the interior without unnecessary added detail. Wood or decorative laminate are mostly used as finishes. Tongue and Groove paneling, also known as beadboard, was historically used as a decorative wall treatment. 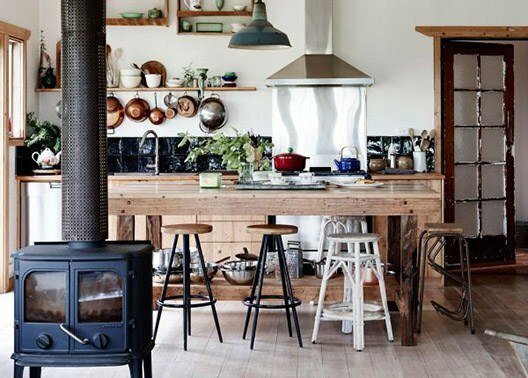 These wooden grooves give the kitchen a lovely cottage look with added old world charm. While it was traditionally matched with solid wood countertops, contemporary interpretations sees it with stone or solid surfaces as well. 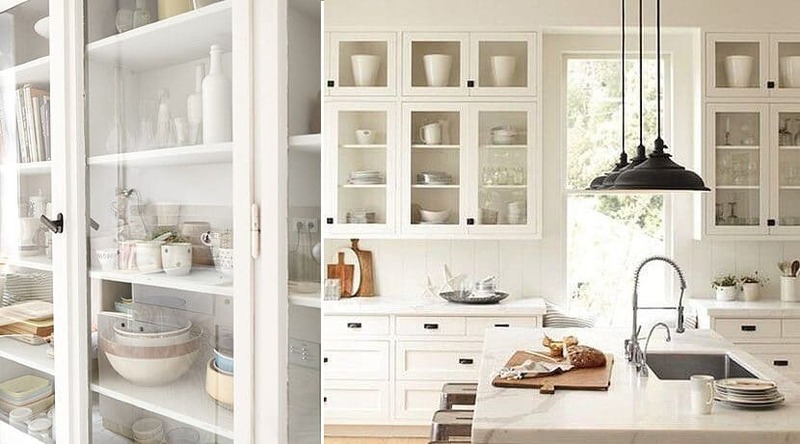 By adding glass fronted doors to your kitchen cabinets, you create a practical display area for beautiful kitchen appliances and crockery. You need to be disciplined and keep it tidy as it is a show and tell display. It also adds a reflective element that gives an airy feel to the room and therefore works especially well in small kitchens. Glass fronted doors are available in a wide range of designs and finishes. Consider using lighting in your glass fronted cabinets to really make your display come to life. Two and three panel kitchen cabinet doors are very colonial, but when teamed with slick hardware it can also suit a slick, contemporary kitchen. They consist of either two or three recesses panels, set into a wooden frame. The frame can be simple or with added detail like beading on the interior. From distressed to contemporary, these style doors are very versatile. 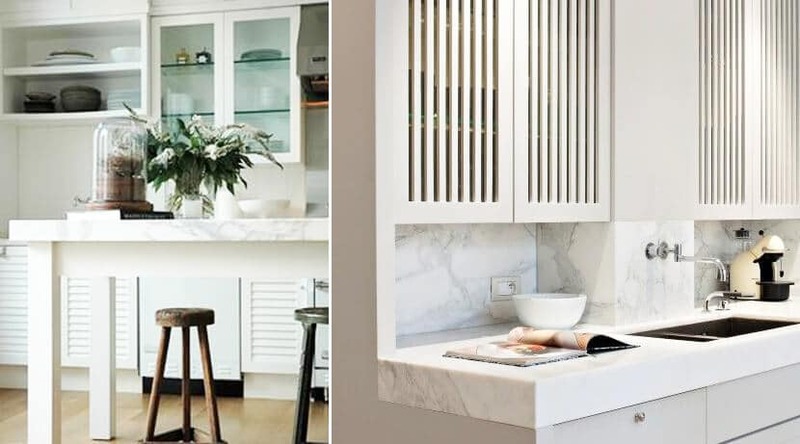 The horizontal lines of the wooden slats add a defined architectural element to the kitchen cabinetry. It’s also a practical solution for cabinets that needs ventilation. Other alternatives to this style are modern vertical slats and even cross hatch. Something to note with this style, is that it not only lets in air, but also moisture and dust – something to keep in mind in very humid or dusty areas, since they may require a lot of additional cleaning.